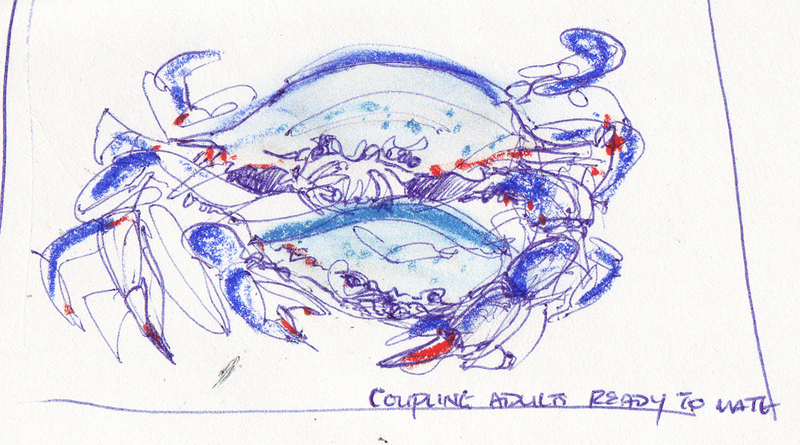 The blue crab’s Latin name, Callinectes sapidus, means “beautiful savory swimmer”. The blue crab is one of the largest crustaceans. It has five pairs of legs. The first pair are claws modified for eating and defense and the last pair are modified for use as swimming paddles.